Ansay & Associates has the influence, experience and tools to help organizations navigate the complexities of Human Resource Administration. At Ansay & Associates, we offer a full array of insurance services. We bring you leading knowledge and integrated solutions as a coordinated single source. As an independent insurance agency, we offer you access to the products and resources of a whole host of leading regional and national insurance and benefit companies, and broker the right coverage for you at the most competitive cost. Get the full Ansay Way treatment with our comprehensive benefits consulting strategies. No two organizations are exactly the same. We help you create a plan that’s right for your organization. To prevent costs from rising too quickly, we provide tools to help manage expenditures. Your employees are your most important resource. Interface directly with them on benefits issues. Access all your information, whenever it’s needed, anytime, anywhere. Full digital access. This is the perfect way for comprehensive plan details, all just a click away! 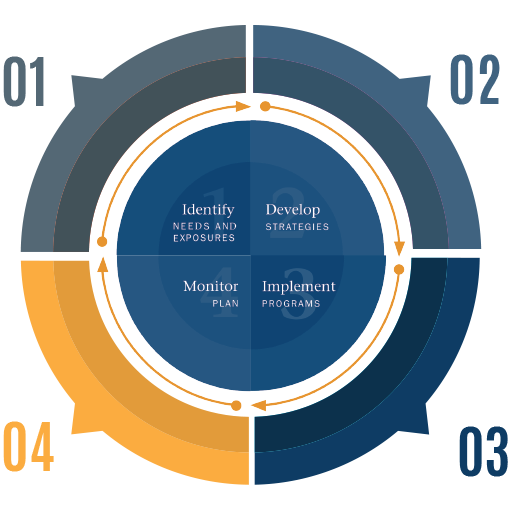 Our proprietary health risk assessment program, biometrics, medical, and more. Stay informed of the latest laws in health-care with our guidance, expertise and knowledge of changing regulations and changes.